Rent control changes proposed by the Progressive Conservative government do not better protect current tenants and take away protections for future tenants. Contrary to government statements, the re-introduction of the rent control exemption for new units will not increase the supply of units affordable to most tenants. These changes merely make a less-than-ideal situation worse. Clearly, to provide real additional protection to tenants the government must re-introduce vacancy control across the board. Ontario’s rental stock is made up mostly of private, purpose-built “primary” units supplemented by private condo rentals and “other” private rentals (e.g., houses, basement units, etc.) and subsidized public units. Primary and condo rental units account for about 80% of the private rental stock and are the focus of this article. Private investment has been shifting toward condos and away from primary rentals since condos were first legally-created in Ontario in the late 1960’s. 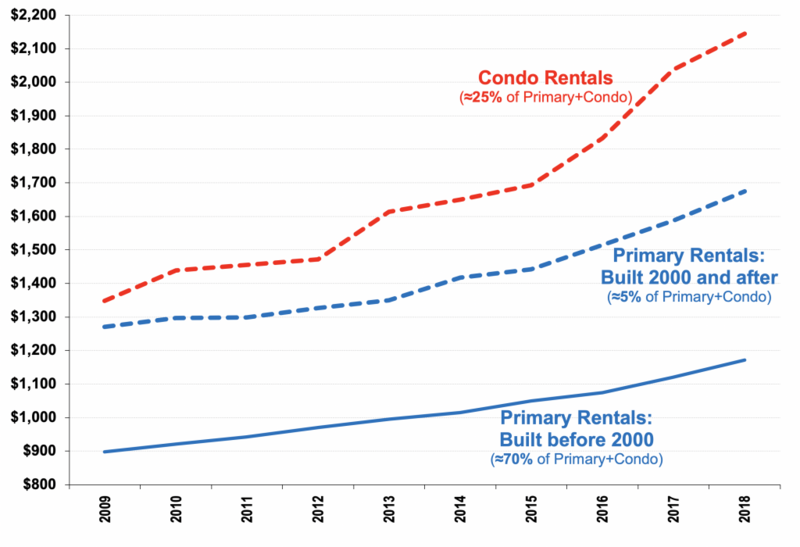 Figure 2 compares the trend in primary investment and the broader universe of condo units (owner-occupied and rental). 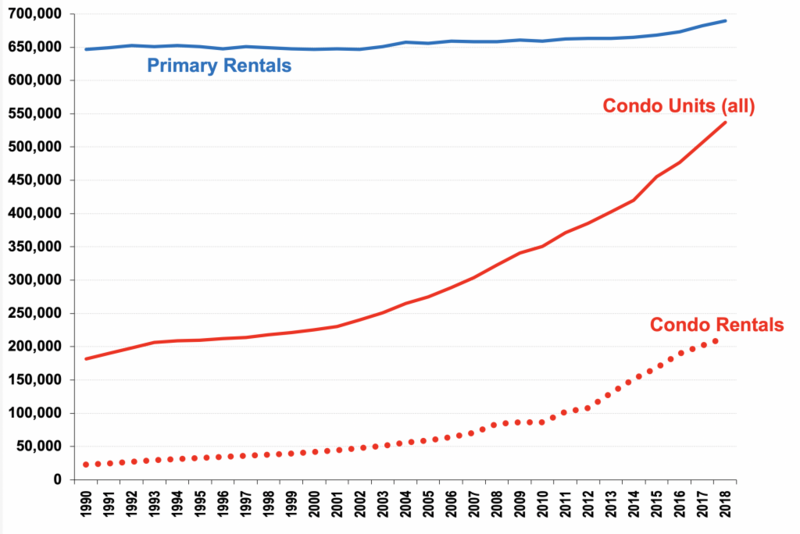 In 1990, there were three-and-half times as many primary rentals as condo units. In the intervening three decades, private investment has produced only about 50,000 new rental units, but a total of more than 350,000 condo units. This confirms that the prior exemption from rent controls for buildings occupied after 1991 did not increase the construction of primary units, but rather further facilitated the building of new condos. 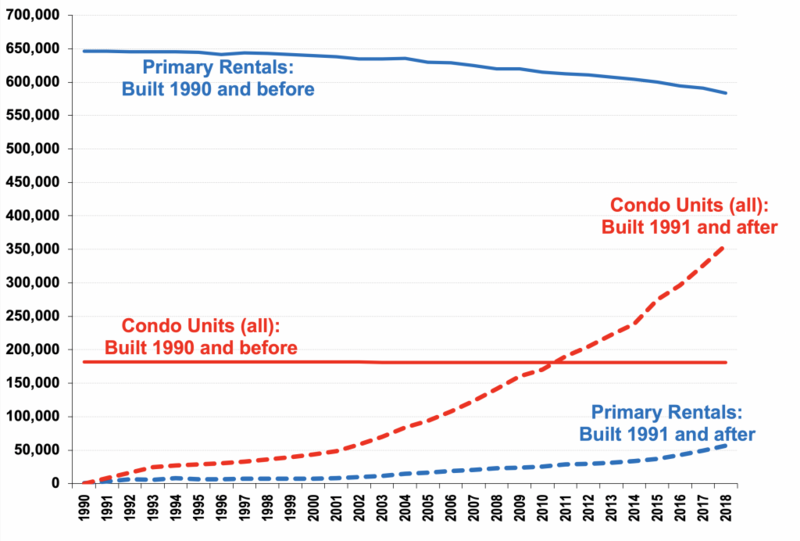 Figure 3 shows the total number of primary and condo units and the number of condo rental units between 1990 and 2018. Based on current trends, the number of condos units will surpass primary units in the middle of the next decade. A total of about 180,000 new condo rentals have been introduced since 1990, more than three times the number of new rental units. Currently half of new condo units entering the market in Ontario are condo rentals. There is also significant variation in rents within and between primary and condo rentals. Figure 4 shows that the average rent for condo rentals of all sizes (over $2,150) are about 30% higher than more recent primary units ($1,700) and 75% higher than older primary units (1,200). Higher rents reflect higher construction and land costs for all newer units and greater amenities in condos. As summarized in Figure 4, about 70% of tenants are in older primary rental units paying average rents of about $1,200, with the remaining 30% in condo rentals and newer primary rentals paying between $1,700 and $2,150. Regulation of public goods such as housing is desirable when there is a public interest to be protected, and when there is evidence that the market does not deliver. This is particularly the case of moderately-priced rental units averaging around $1,200 on which the vast majority (70%) of tenants rely. The Canada Mortgage and Housing Corporation (CMHC) estimates that only about 30% of tenants have sufficient household incomes (more than $65,000) to be able to access either condo rentals or newer primary rentals. That means that the rest of the tenants (70%) with incomes below $65,000 can only afford older primary rental units. The Ontario government’s proposed rent control exemption will not benefit the households that live in these older, moderately priced primary units, who would continue to face higher rents due to lack of vacancy control and will not benefit from new supply. In contrast, private investment has shown that it can supply new higher-priced units, so lighter regulation is appropriate in the form of a higher (double the standard) guideline increase for new construction. The relatively higher-income households that will live in such units could afford the possibly higher rent increases and also may actually benefit from having credible new supply of condo and primary rentals. To be clear, even if the government re-introduced rent controls for all existing and new units, nothing in the government’s existing or proposed tenant protection measures will increase the market supply of moderately priced rental units affordable to the vast majority of tenants. That ship has sailed: a market-based solution for increasing that affordable rental stock is now only possible with targeted public incentives and other forms of subsidies and/or much stricter forms of rent regulation, including the regulation of the initial rent for new units as is done in some jurisdictions. Further, as part of a comprehensive housing strategy, the government should also commit public funds/lands to increase not for profit subsidized public housing. 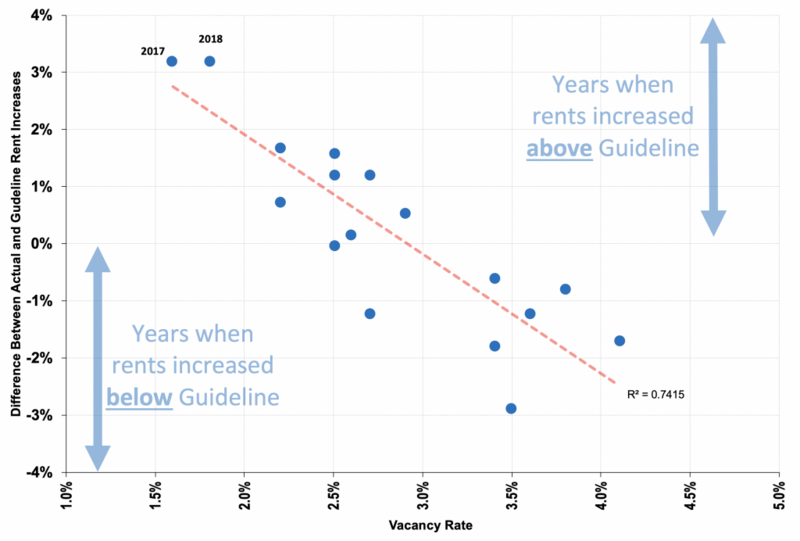 However, the government could consider a more balanced approach for now in which the guideline rent increase for new units only is set at twice the current rate. The costs to administer this alternative proposal (keeping the current guideline for existing units, re-introducing vacancy control across the board and introducing a higher guideline for new units) would be modest compared to the size of the residential rental sector (over $20 billion a year) and could be kept to a minimum by taking advantage of new technologies. This alternative rent control proposal includes additional, badly needed protection for all current and future tenants while ensuring there is sufficient incentive for private investment to continue to supply new higher-priced units. Edgardo Sepulveda is an independent consulting economist with more than two decades of utility (telecommunications) policy and regulatory experience. He writes about electricity, inequality and other economic policy issues at the Progressive Economics Forum. You can find him on twitter at @E_R_Sepulveda. • Toronto plans to regulate Airbnb: does it go far enough? This confirms that the prior exemption from rent controls for buildings occupied after 1991 did not increase the construction of primary units, but rather further facilitated the building of new condos.